The legacy and social problems caused by the Sri Lankan civil war is the subject of Asoka Handagama’s Him, Here After, which has its UK premiere at the Edinburgh International Film Festival. The first film since the war ended in 2009 to discuss the lasting effects of the war on everyday Sri Lankans, this piece presents the challenges of trying to rebuild shattered lives after a prolonged and deadly war. When a former Tamil rebel fighter (Dharshan Dharmaraj) returns to his village following the end of the war, and after a year of ‘rehabilitation’, he finds that his former neighbours both fear and despise him. But as he attempts to create a new life, the ghosts and actions of his past continue to haunt him, and he soon takes a job that could not only threaten his own life but the lives of those closest to him. The UK premiere of Handagama’s film, which is one of only a handful of films made in the Tamil language directed by a Sinhalese director, is a hard-hitting portrayal of country struggling to rebuild and create an identity following a 26-year long war. While issues of betrayal and death are apparent throughout Him, Here After, this is a film that’s primarily focused on forgiveness, inner strength, and repairing both the country’s and that of its inhabitants’ fractured psyches. Compelling, absorbing, but most importantly, eye-opening, this film sheds new light on contemporary attitudes towards war and conflict, and most importantly resolution. While the civil war is over, the fight that the characters in Him, Here After fight every day is one against ignorance, one for forgiveness, and above all, a desperate battle to survive. 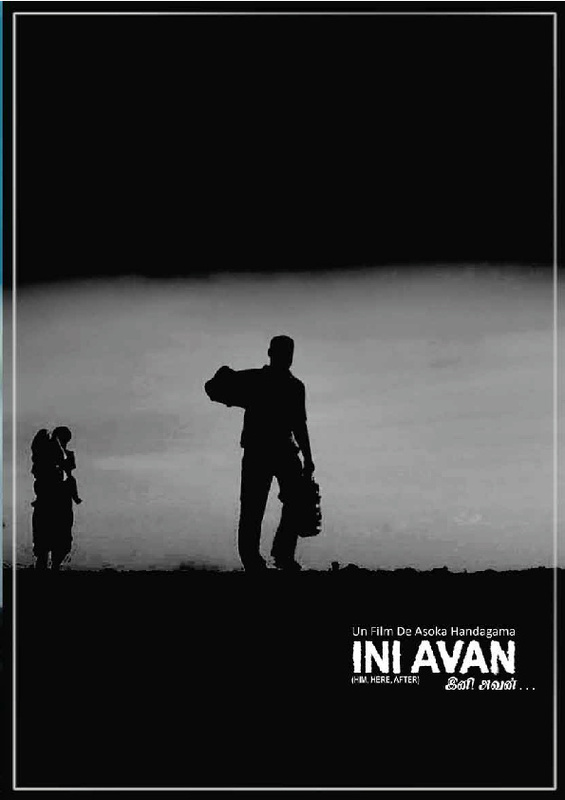 Moving, uplifting and absorbing, if a little long, Handagama’s latest film is a compassionate and thoughtful representation of the very human costs of war, where casualties continue to mount up long after the physical battle has stopped. This review was originally published on the Caledonian Mercury website.